Earlier site works had been undertaken by previous sub-contractors across the former site with monitoring installation points previously constructed. Historical data identified the site as a decommissioned landfill site by 1994. Initial monitoring was undertaken across the site showing elevated concentrations of carbon dioxide and methane. We attended site for a further three months to undertake continuous gas monitoring enabling us to produce a ground gas risk assessment, based on the results of the assessment we deteremined that gas protection measures were only needed in the central zone of the site which was classed as a high risk. Integrity testing using Tracer Gas. Due to the results of the previous investigation being insufficient, the client had already experienced delays with the development programme. 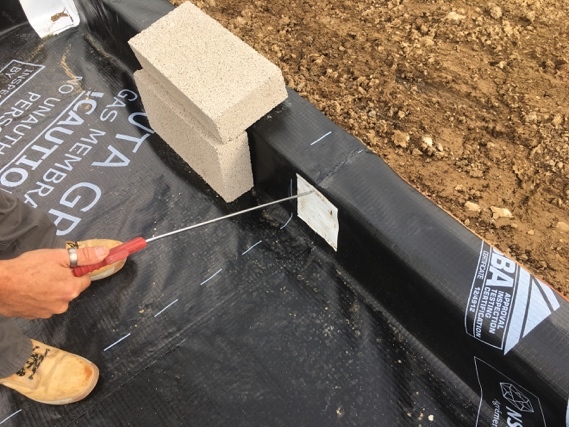 Our findings allowed only part of the site to be classified as a high risk for gas, therefore preventing further delays and delivering cost savings to our client. 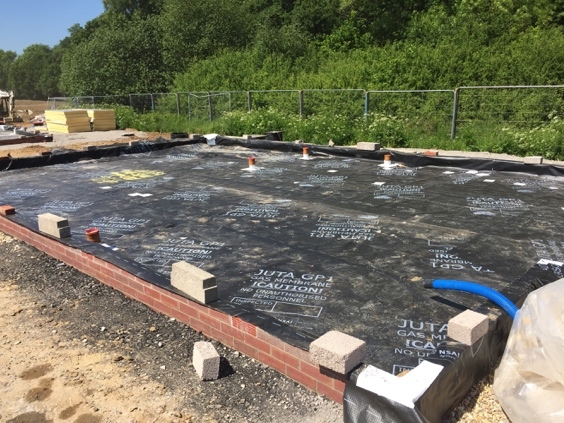 Once each individual plot had been completed, a report is issued for sign off by NHBC, to allow our client to release the new home to its owner.